I learned so much at RWA down in Orlando this past year, and I’m trying to incorporate everything I’ve learned. I’ve also been listening to podcasts. I love listening to Joanna Penn, of the Creative Penn, and the Sell More Books Show. And, because I want my books to appear on Google Play, I’ve started re-designing all my covers. 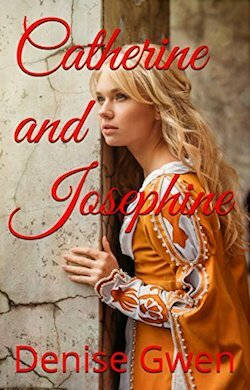 To the left, is the former cover for Catherine and Josephine, and the one on top is the new one. There’s so much more you can do with Photoshop!